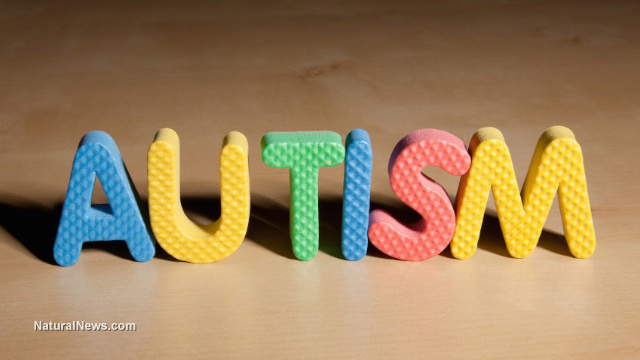 What is 'vaccine spectrum disorder' and why is it called autism? (NaturalNews) Vaccine spectrum disorder (VSD) is the disorder children get from receiving too many vaccines too close together, many of which are combinations of viruses, bacteria and toxic adjuvants. VSD is purposely misdiagnosed and renamed autism spectrum disorder so that the vaccine industry can continue with its toxic regimen that creates customers for life. The vaccine schedule is leading to a broad array of disorders and 'spectrum' is just a pharma buzz word to keep the public from staring right at the REAL problem, which is that we are injecting toxins into muscle tissue, including aluminum and mercury, over and over again during the first six years of a child's life. Some babies, as soon as they enter our world, are given toxic vaccines that contain MSG and formaldehyde meant to conjure an immune response, but, instead, basically the entire nervous system of the baby goes into shock. Today, DNA is altered in labs and mixed with bacteria, live viruses, human albumin and chemicals used to embalm dead people before being injected up to 30 times into children before they reach the age of seven. The medical industrial complex calls it a wide "spectrum" disorder so that it can be treated with drugs (more chemicals) that will never heal the child and will, most likely, create more health detriments. Measles Live Virus Vaccine: (Attenuvax) Two injections are given; one at one-year-old and another at four-years-old. Contains gelatin, sorbitol, sodium chloride, bovine cow serum, egg protein and human albumin. Measles and Mumps Live Virus Vaccine: (M-M-Rvax) Injected into one-year-old babies. Contains gelatin, sorbitol, sodium chloride, bovine cow serum and human albumin. Diphtheria, Tetanus and Polio Vaccine: Five injections given between the ages of two and six, plus boosters "recommended" every 10 years. Contains formaldehyde and aluminum phosphate. DTaP, IPV, HBV and Hib: (Diphtheria, tetanus, polio, hepatitis B and Haemophilus influenza type B) Given to infants two months to 12 months with boosters less than a year later. Contains formaldehyde and bovine cow serum. Gardasil HPV: (Human Papillomavirus vaccine). Administered to children as young as nine for a rare, sexually transmitted disease. Contains a weakened form of the virus. Flu shots: The CDC advises on the flu insert not to get more than ONE flu shot in a lifetime. Thimerosal: Neurotoxic mercury that causes autism. There are 25 mcg in an average flu vaccine, even though the EPA safety limit is 5 micrograms. That's 10 times the safety limit all at once! Aluminum phosphate: Increases the toxicity of mercury. Bovine cow serum: Extracted from cow skin. A cause of arthritis and lupus. Sorbitol: A synthetic sweetener that causes gastrointestinal issues. Gelatin: Derived from collagen in animals' skin and bones and may contain BSE, which is Mad Cow Disease! Sodium Chloride: Raises blood pressure. Egg protein: May contain growth hormones, antibiotics and salmonella. Human albumin: Blood protein from pooled human venous plasma, which can contain diseases. Formaldehyde: Carcinogenic fluid used to embalm the dead. MSG: Monosodium glutamate -when injected becomes a neurotoxin, causing CNS disorder and brain damage. One in every 68 children has a form of the spectrum. Questioning the toxins in vaccines is the first order of business. Do you have VSD? Contact your local naturopathic physician. After all, there ARE doctors out there who DON'T believe in injecting toxins in order to build immunity.